In the spirit of preparing for what is to come, enjoy! 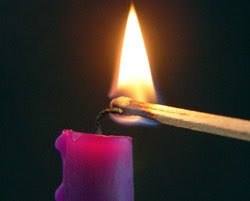 Advent 2 includes the Song of Zechariah in the lectionary. This is one of my favorite stories during Advent. Think about it, you have this couple who are just a wee bit past their prime. A messenger from God comes to tell the husband his wife will bear a son. When told Elizabeth will bear a son who will be a messenger of God, Zechariah does not believe him. Because he does not believe Zechariah is struck mute. I find myself doing that all too often. Not the mute part, but the whole not believing God's messenger. In the midst of life unfolding it is so easy to get focused on what I see rather than what I know to be true. To become stuck on my feeble expectations rather than the promises of God. To lose sight of those places Jesus is breaking into my presence. It often takes a spiritual 2x4 up side the head to get my attention. I want so badly to trust without needing that, but I'm not there yet. I, like Zechariah, don't believe. There are moments I wish God would strike me mute. If so, I wouldn't have to confess as often the times I don't believe. What I love most about this story is that upon the birth of John the first thing his daddy Zechariah does is to praise God. 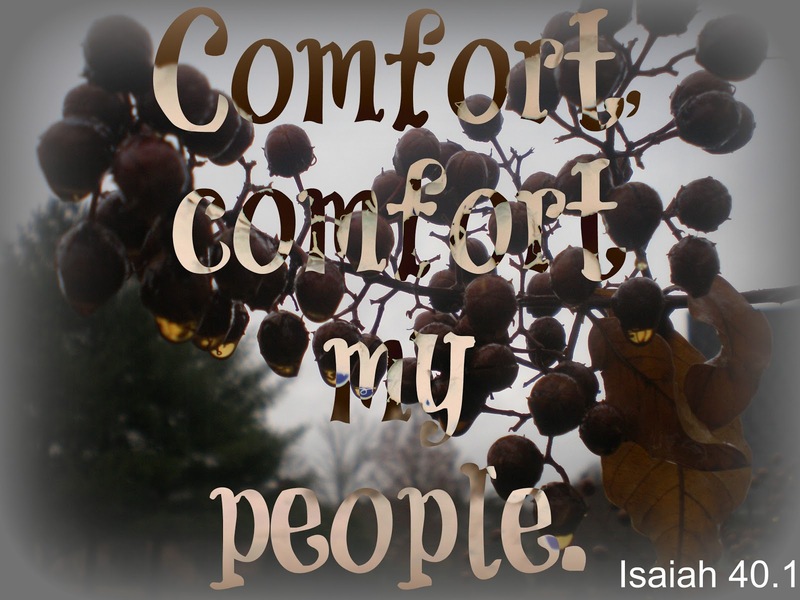 Once he is able to speak, Zechariah tells all who will listen about the goodness of God. He has gone from unbelief to praise. I pray that in this season we are able to praise God as he breaks into our lives, even if it is with silence. He has raised up a mighty saviour for us in the house of his servant David, as he spoke through the mouth of his holy prophets from of old, that we would be saved from our enemies and from the hand of all who hate us. and has remembered his holy covenant, the oath that he swore to our ancestor Abraham, to grant us that we, being rescued from the hands of our enemies, might serve him without fear, in holiness and righteousness before him all our days. "Beloved, let us love one another, because love is from God; everyone who loves is born of God and knows God. (1 John 4.7)"
These words come from the lectionary readings for today which is St. Nicholas day. Some say he is a way to "deal" with Santa Claus for parents unwilling to entertain the idea of a jolly man in a red costume (Nicholas, Bp. of Myra, c. 342). The words are a reminder that in this season, indeed in all seasons, we are called to love. As the world around us hurries from one activity to the next, tempers get shorter, patience harder to find, and forget about parking with ease. It is easy to get caught in the flow and react in less than loving ways. What would happen if we let that harried mother, the one with the cranky toddler, go ahead of us in the line at the grocery store? Left an overly generous tip for the wait staff who was rattled by a grumpy customer? Randomly paid for someone's meal because they seemed sad and were sitting alone? I'm sure you can come up with wonderful ideas on your own. The point is that the person on the receiving end of such grace will not be the only one blessed. In giving love, we receive it in ways we cannot anticipate. Even if no one else knows, watching the surprise turn to joy on the face of a stranger is a gift unto itself. God calls us to love and sharing it with no strings is the best sort of gift. Find a way today to show love in a tangible way to someone in need. Come back and tell us about it. We are firmly in that place between slowing down to enjoy the beauty, expectation, and wonder of Advent and the hustle and hurry up of Christmas preparations in our workplaces, schools, homes, and even our churches. While it is indeed a challenge, it is possible to participate in both. A few years ago an email went around about the "Advent Virus. It reminded me to live into this time of year as I experience Advent fully while the world around me often does not slow down for it. "Be on the alert for symptoms of inner Hope, Peace, Joy and Love. The hearts of a great many have already been exposed to this virus and it is possible that people everywhere could come down with it in epidemic proportions. This could pose a serious threat to what has, up to now, been a fairly stable condition of conflict in the world. · A tendency to think and act spontaneously rather than on fears based on past experiences. · An unmistakable ability to enjoy each moment. · A loss of interest in judging other people. · A loss of interest in conflict. · A loss of the ability to worry. · Frequent, overwhelming episodes of appreciation. · Contented feelings of connectedness with others and nature. · Frequent attacks of smiling. · An increasing tendency to let things happen rather than make them happen. Doesn't that sound like a great way to experience the days leading up to that time we receive again that precious gift we find on Christmas morn? 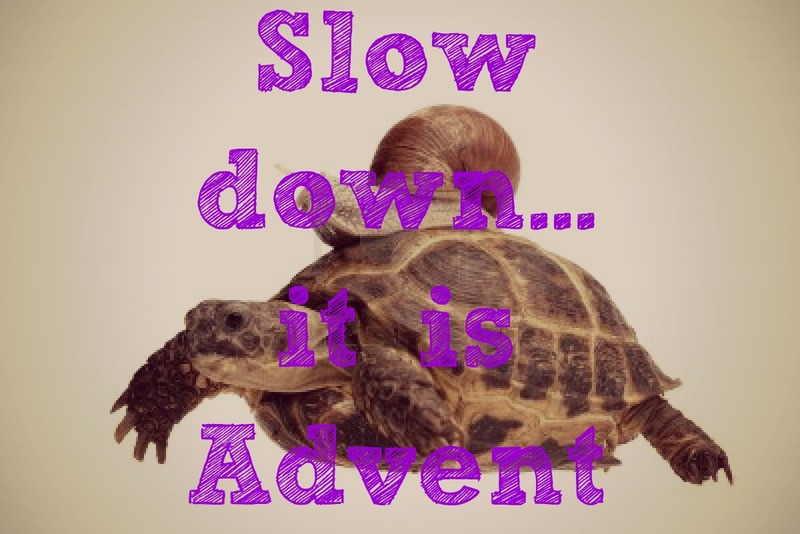 How do you live in the tension between Advent and Christmas? This place I now call home has many Advent traditions. 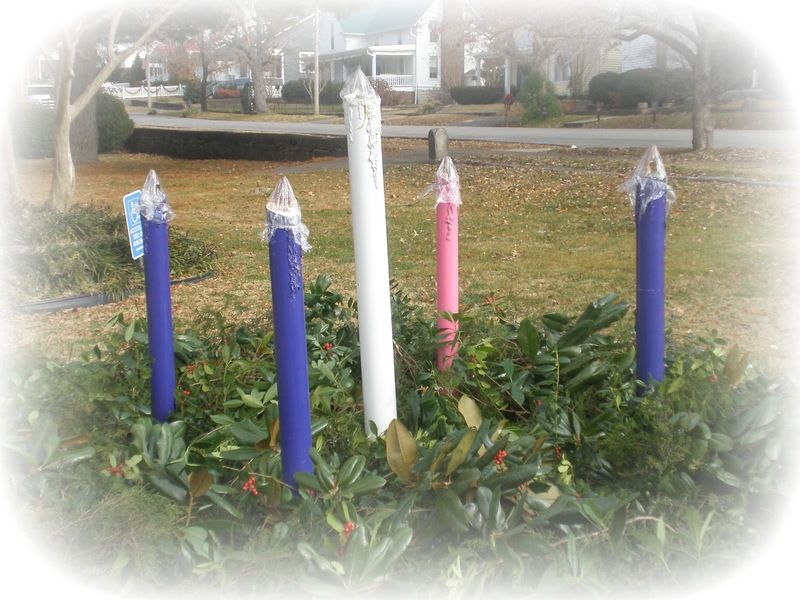 The one that is most visible is the outdoor Advent wreath. 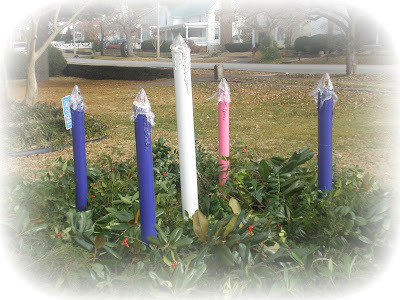 Many in this town who have no idea what Advent means share that they love watching each week as another "candle" is lit. Each one a reminder that the birth of the Christ child is drawing closer. For those that call this place home with me, it is a tangible reminder of our traditions and those saints that have come before us and those who have helped form us. 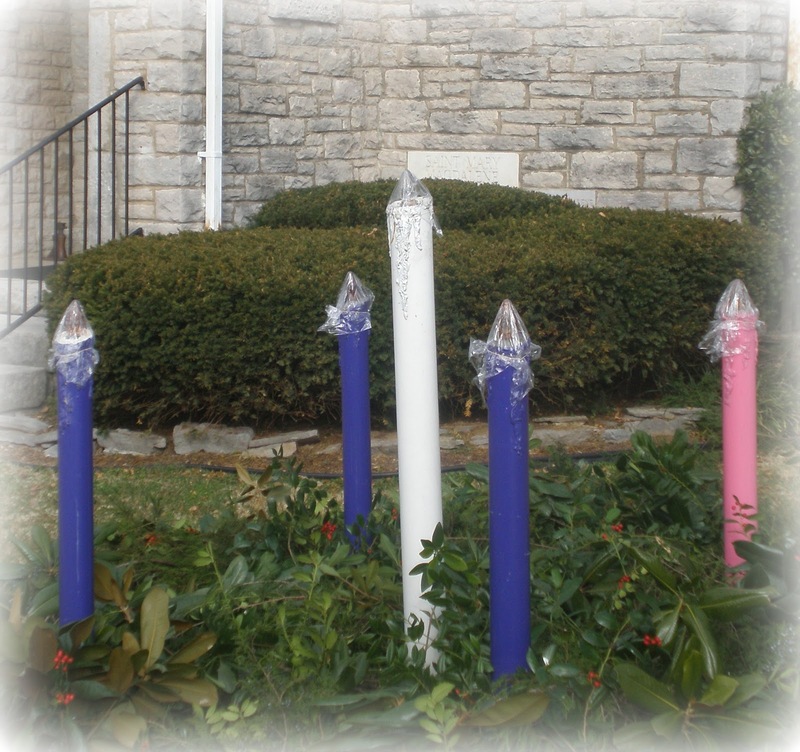 What are some so the tangible signs of Advent in your community? It is a time to look back at a portion of our salvation story, a chance to look back to the first coming of Jesus to earth. How can you not love such a beautiful story? A story that gives hope. Babies are so full of hope. And that is how our savior came. As a baby. In a manger. It is also a season in which we look around to see those ways Jesus is breaking into our present. We have been blessed so abundantly and we experience breath taking moments when Jesus reaches in and touches our every day experiences. When Jesus with skin on is found in those around us. Jesus is present here. Now. Don’t shy away from all this season offers, the holy and even the not so holy. It is the season the world looks to Christmas, often in a material way. A natural time for us to make all we do holy as we share about the first gift that changes everything. That wee little babe in the manger who will climb on a cross and come to us again. To fully experience this season and to share its meaning with those who may have forgotten it or those who may not have experienced it before is a gift as well. It is with hope and anticipation we remember who we are celebrating and the gift we are celebrating. We are able to celebrate that gift as we take a deep breath in the middle of the hustle and bustle of this time and remember to thank God for the gift found in a manger, that gift in the hands and heart of Jesus found in those around us, and the gift we still wait for. As we bring joy to others, not just with presents but in our presence, we share the true meaning of this season. We are able to do that as we decorate, shop, wrap, and bake. These acts become a living prayer. They can become a chance to pray for those we love, for our world, and for the needs of others. This is a season to pursue Jesus, the Savior who came to us in a humble manger, who comes to us today, and the one who will come again. 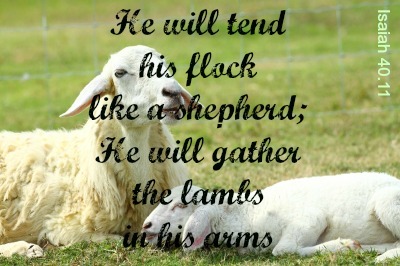 A savior that calls us to remember his first coming, seek his presence with us now, and anticipate his coming again. May it be for you a season of remembering, seeing, and anticipating the possibility of God moving in and among us and our world. and friends at Studio JRU. I used my favorite acrylic modeling paste and acrylic inks on a prepared 6x6 project board. Will you share what you created this week?